It’s sad news from a Gangsta Rap fans point of view but also something great for BG Knocc Out. Just wana let him know we have his back 100% and always down for him in any way we can . 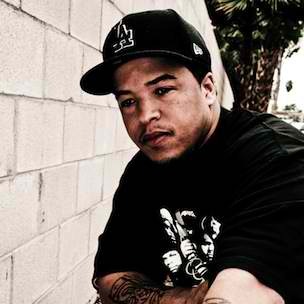 Thank You BG Knocc Out for Keeping the Legacy of Eazy-E alive and all your great contributions in the rap game. We will be playing BG Knocc Out music all day all week on http://www.ruthlesspropaganda.net/ make sure everyone tunes in. Like he say, it’s very hard to understand. I would like to know his views of his past in music, Eazy E, Ruthless Records, Gangsta Rap music, and Gangsta Rap way of life. Does he denies it ?? man it’s realy hard to understant and to accept. I realy think you can “live” the gangsta rap music without going against God. But thats his choice, i got much luv & respect for his legacy and wishing him the best. Reblogged this on Everythingwc's Blog. Sad days now that im treying to get young Eazy out there working BG would have been a strong influance on young one. maby he will do some with us now that shows are comming around. I’m hoping to contribute & help other users like its helped me. Good job. setting upp nnew blog oor even a weblog from start to end. Dame a little messed up from that but real brothas will always stay in my music index good luck on your decision. Good for him. The guy spent 10 Years in prison. He’s finally found peace. Good for hm. Stay strong.